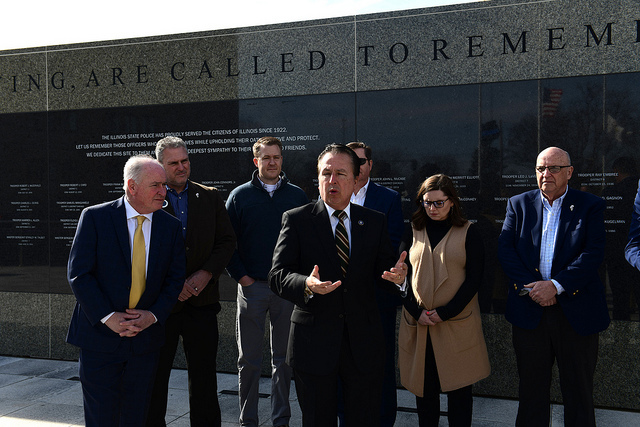 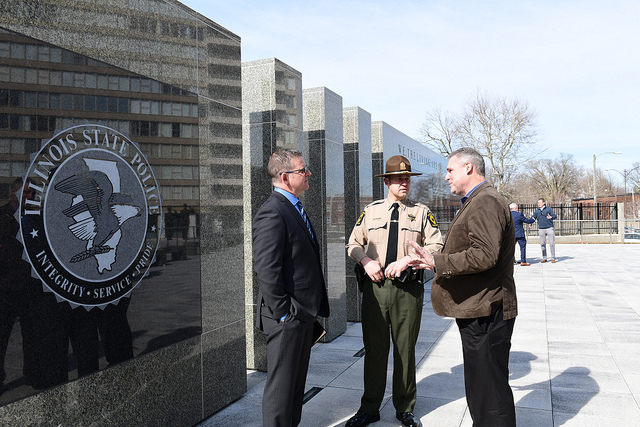 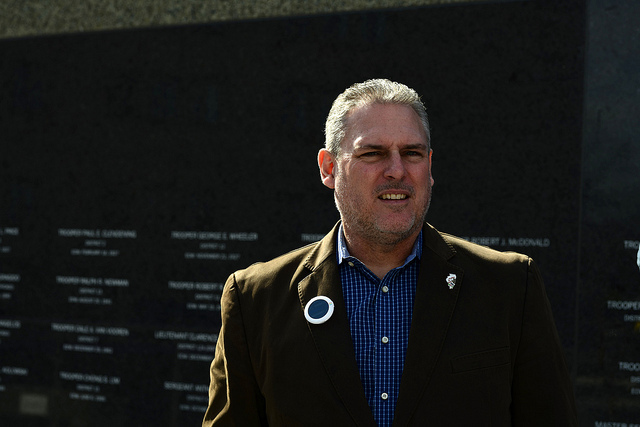 State Rep. Keith R. Wheeler, R-Oswego, attended today’s ceremony at the Illinois State Police Memorial in Springfield honoring all state troopers who have lost their lives in the line of duty. 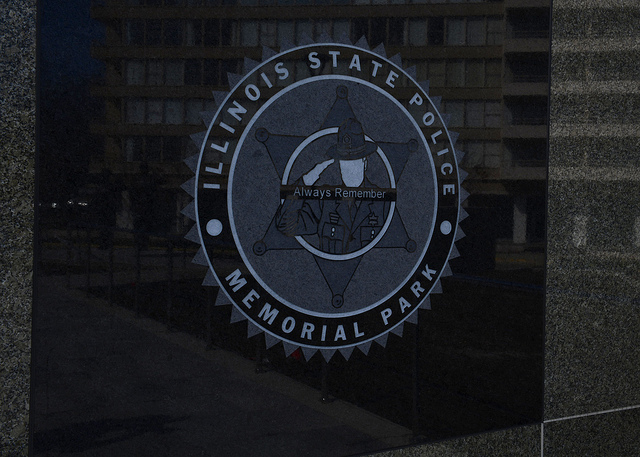 April 1 is officially designated as Illinois State Trooper Day to honor the dedicated men and women of the Illinois State Police with civic remembrances. 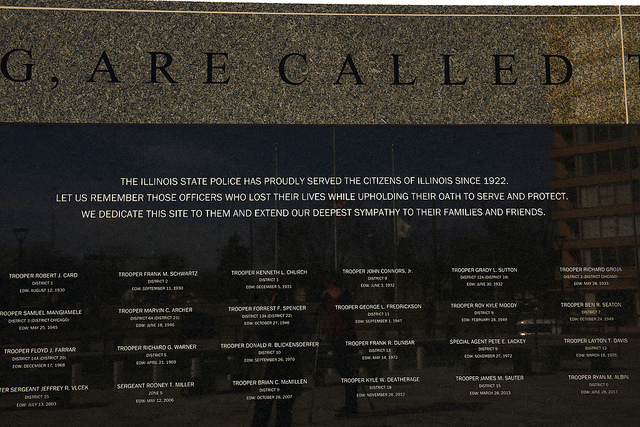 Words are inadequate to express our appreciation for the sacrifice made by these fallen officers, or the loss suffered by their families.